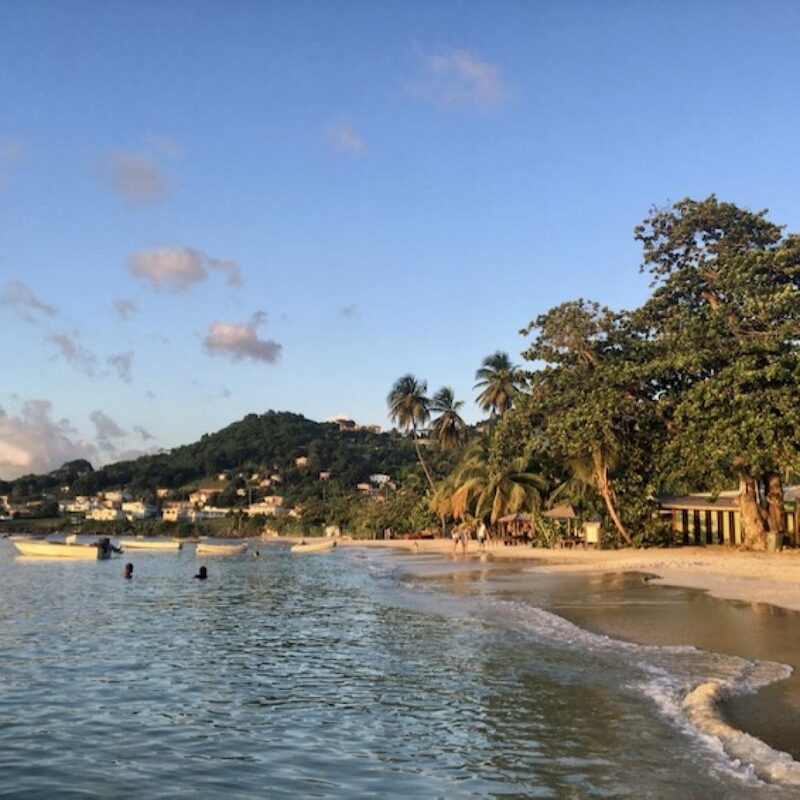 Top 10 Things To Do In Grenada, The Spice Island of the Caribbean - Caribbean & Co.
Grenada, the spice island of the Caribbean is a somewhat hidden gem when it comes to tourism as surprisingly only about 150,000 stay-over tourists visit each year! This figure is sure to go up as Grenada continues to be innovative with its Pure Grenada marketing campaign and has won some awards, most recently the Expedia Caribbean Destination of the Year Award. 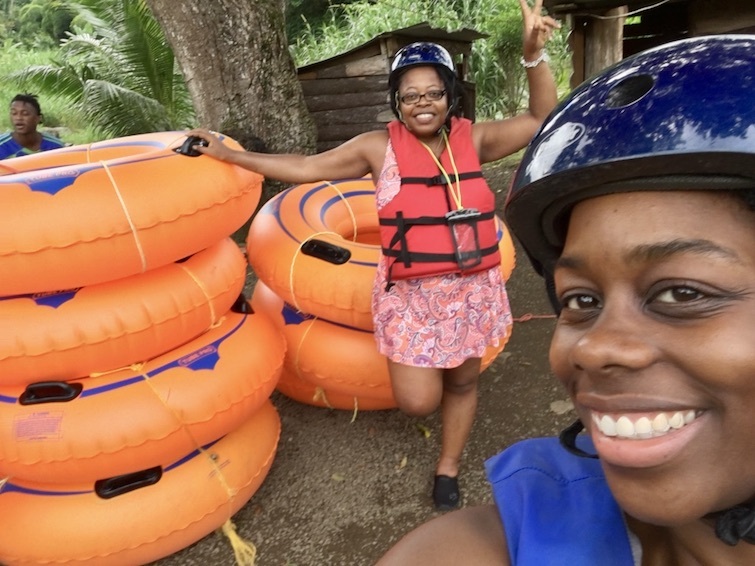 With that, here are some of the top 10 things to do in Grenada based on my three-week visit last October taking part in #NextStopGrenada and also attending the Caribbean Tourism Organization State of the Industry Conference. I’ve included a range of cultural and adventure activities and experiences that will give you a good idea of what Grenada has to offer. A great start to a vacation in Grenada is to explore the capital city of St George’s one of the most picturesque in the Caribbean. And to get a lay of the landscape, visit Fort George, Grenada’s oldest fort built by the French between 1706 – 1710. Then take the short drive to another of Grenada’s historical forts, Fort Frederick which has panoramic views of St George’s. With your Instagram worthy pictures of the beautiful landscape from both forts, head back down to explore Grenada’s capital city. You can start by walking along St George’s Carenage which is a pretty inner harbor with red-brick Georgian buildings overlooking fishing boats and ferries. 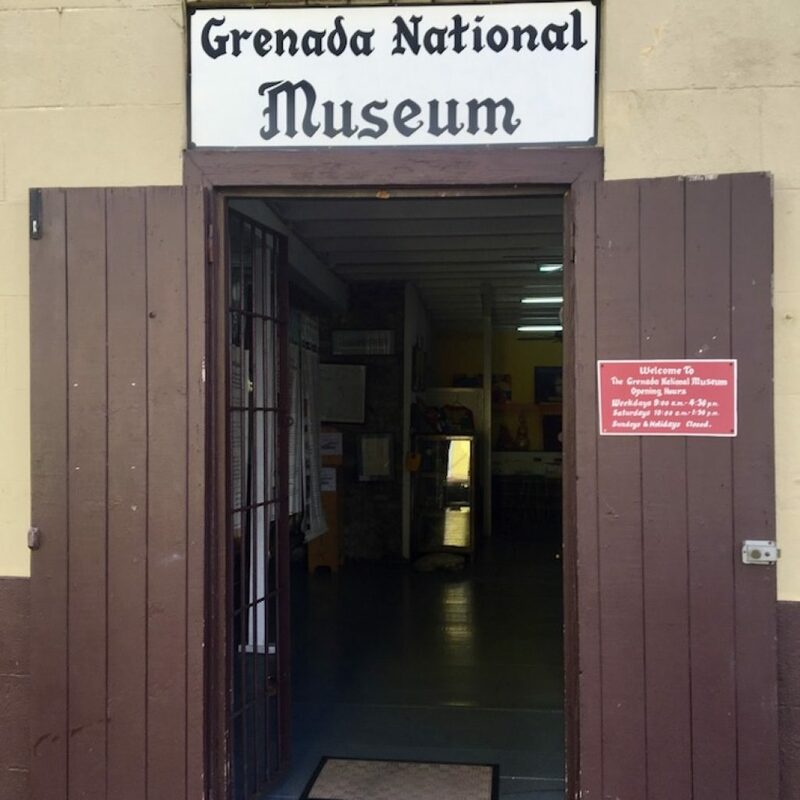 Then stop in at the Grenada National Museum which has a number of displays related to slavery, the first inhabitants, plantation economy, whaling and fishing archaeology and early transport and technology. 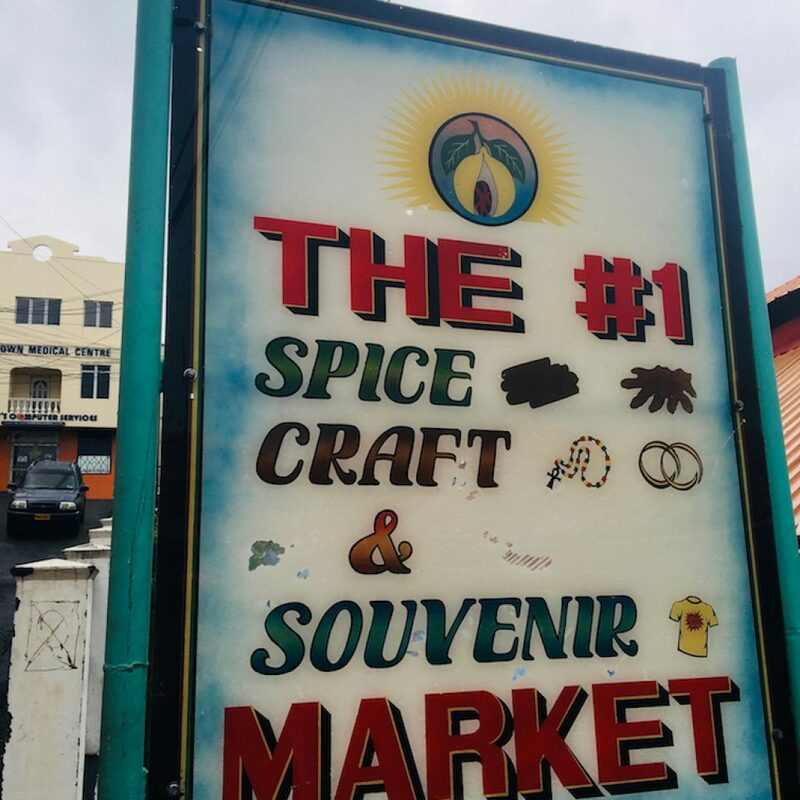 From the museum, you can head to Grenada’s famous Spice Market to shop for spices and an assortment of souvenirs. Chocolate aficionados may want to stop on the way at the House of Chocolate Grenada which is a museum, cafe, and shop promoting the delicious fine flavor chocolate from the island. 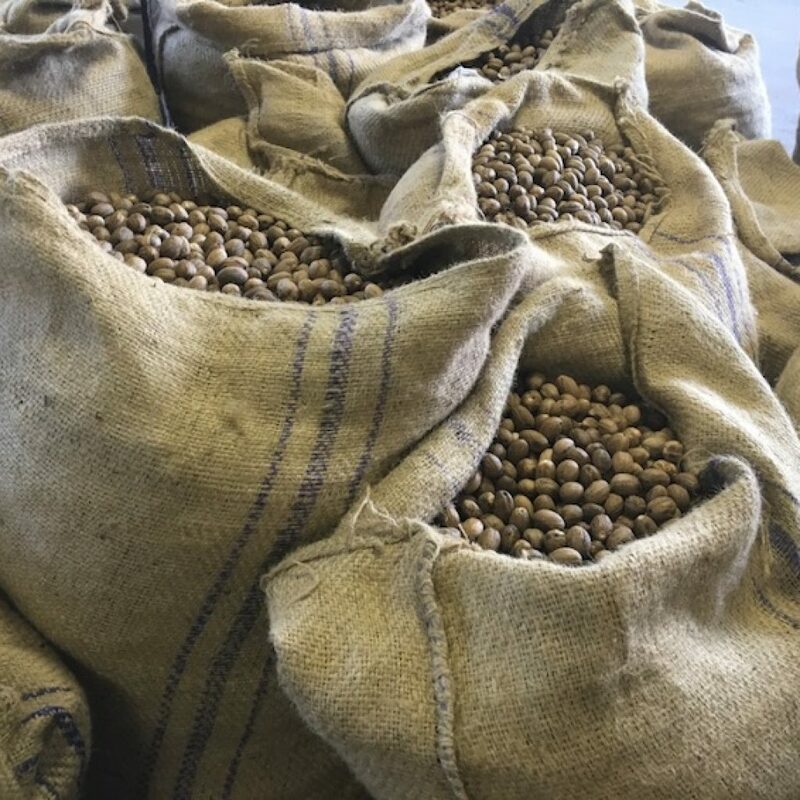 As Grenada is known as the Spice Island in the Caribbean for its nutmeg and mace production, it is only fitting to visit the Gouyave Nutmeg Processing Station one of the largest on the island. 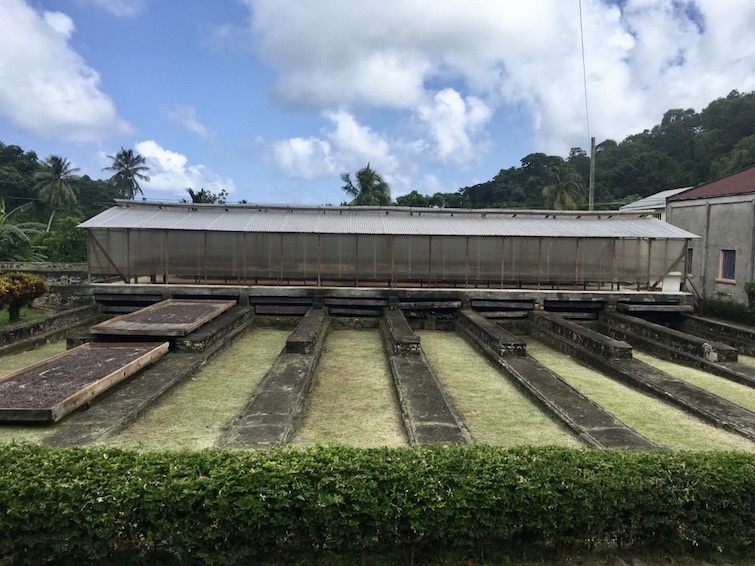 The Gouyave Nutmeg Processing Station is owned by the Grenada Cooperative Nutmeg Association and housed in a large drafty building in the middle of the west-coast fishing village of Gouyave. As you enter on the ground floor, you’ll see row after row of nutmeg on drying racks. 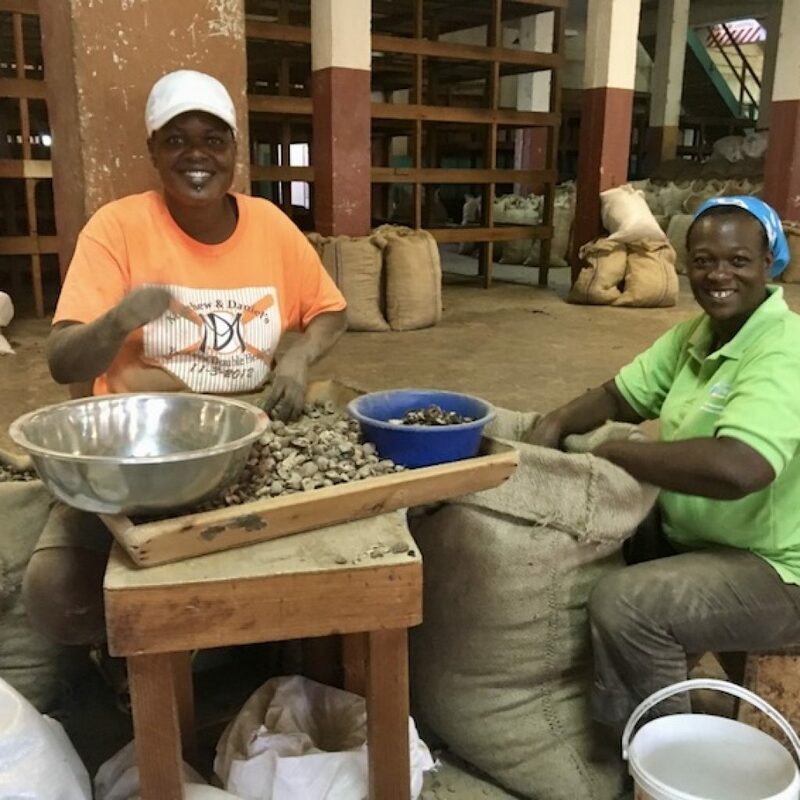 Also, depending on the time of day you visit, you’ll see a group of mostly women sorting, grading and packaging the nutmegs using traditional methods. After the factory tour which cost just US$1, you can stop in at the gift shop and purchase from a range of spice related products. That said, it should be noted that before Hurricane Ivan hit the island over 13 years ago, Grenada was processing around 9 million pounds of nutmeg. In fact, it was ranked number 1 in the world for nutmegs. 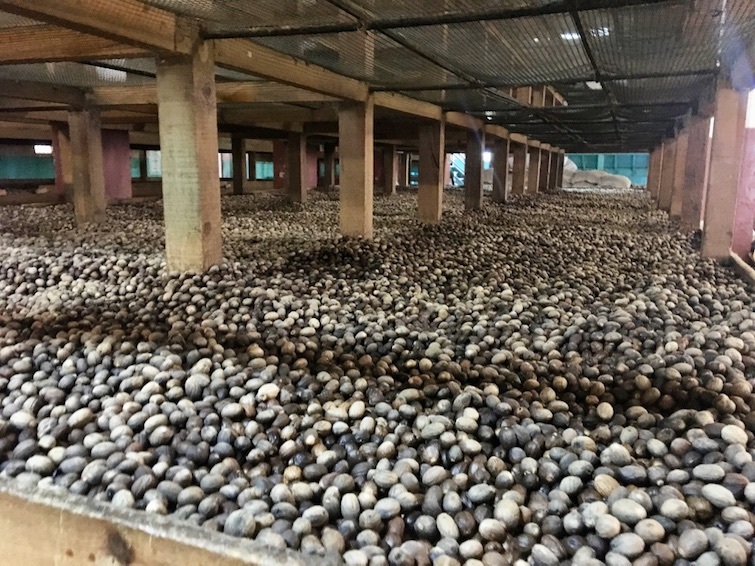 Currently, Gouyave Nutmeg Processing Station along with the other two on the island, process around 2 million pounds of nutmeg and are now ranked 5th in the world. Much of what is processed is exported to major markets like Germany and the Netherlands. 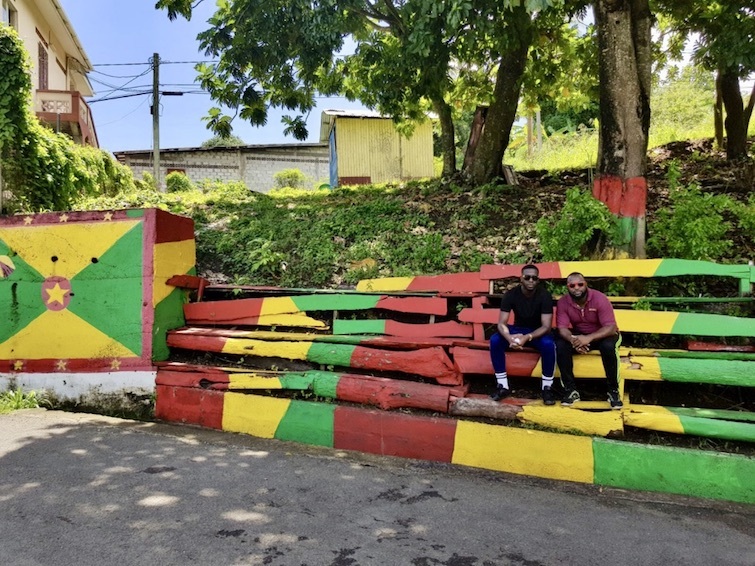 Sidebar: As you drive to the Gouyave Nutmeg Processing Station and throughout the island of Grenada on your vacation, take note of the Grenadian national colors, flag and other symbols of independence on houses, walls, bus stops, sidewalks, trees, etc. Grenadians are a proud people and apparently, there is a friendly competition to see who can put on the best display. Note: To book tours, activities, and things to do in Grenada, visit our travel partner Viator. 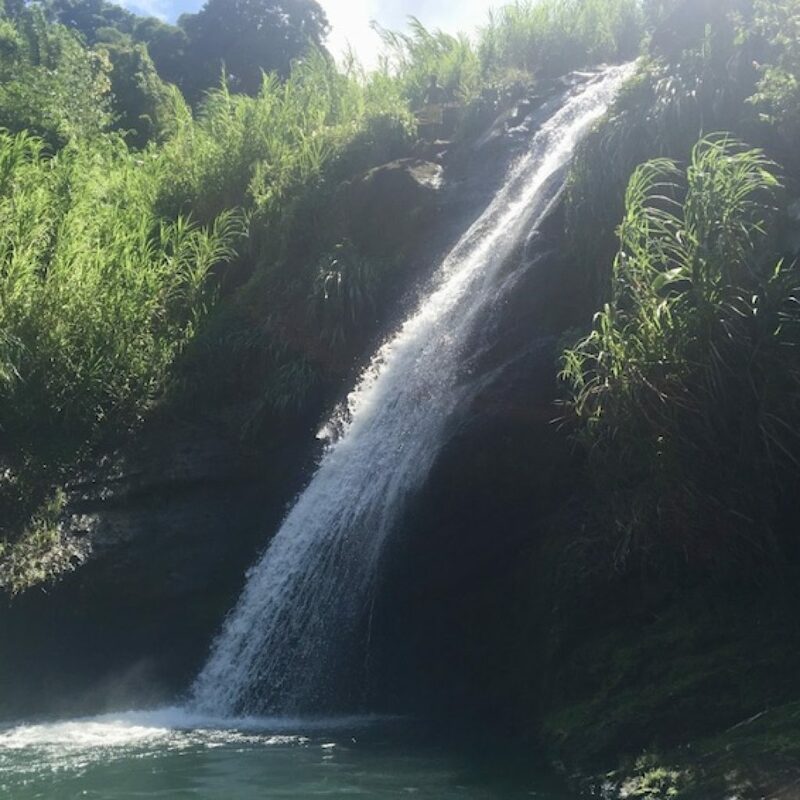 Grenada has about fifteen cascading waterfalls with water plunging into refreshing pools perfect for a dip or swim. Most require a short hike to access, and just a short drive from St George’s is Annandale Falls which has a well-tended path lined with local fruit trees and flowering plants. Another popular option which I visited was Concord Falls which has three levels. Visible from the roadside, you pay a nominal fee, then walk down the steps to the bottom of Concord Falls and watch the cliff divers if there are any performing or take a dip in the cool (chilly!) but oh so refreshing water. The second part of Concord Falls involves a near 45minute hike through a nutmeg plantation, and the third part of Concord Falls is a little off the beaten track so definitely advisable to go with an experienced guide for the upper levels. 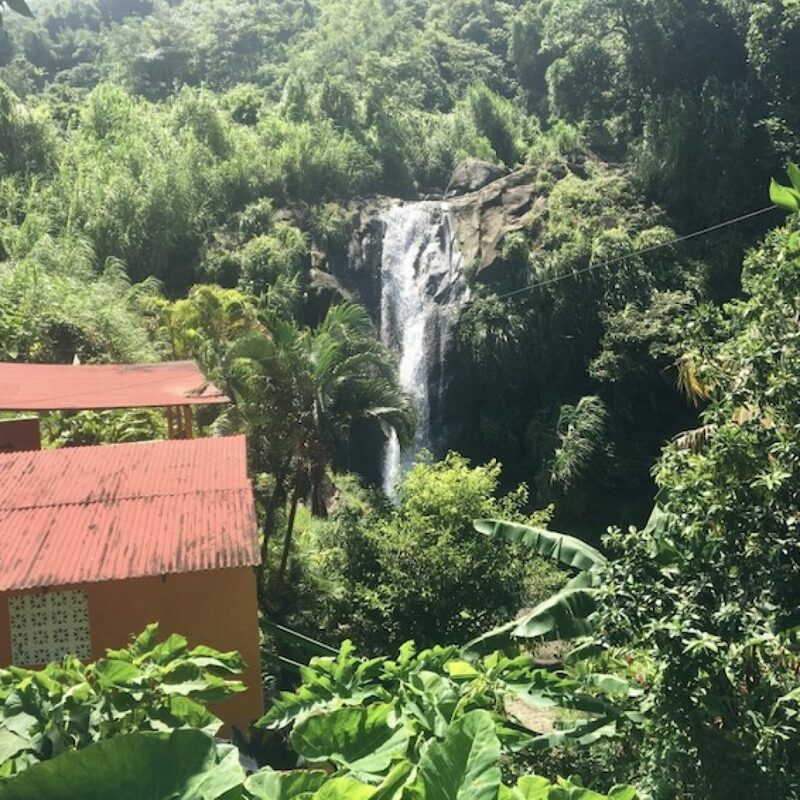 Three other Grenada waterfalls to explore include Royal Mt. Carmel Waterfalls, Seven Sisters, and Victoria Waterfalls. Grenada has the distinction of having the first underwater sculpture park designed by British sculptor Jason deCaires Taylor. Located at Moliniere Bay, the Grenada Underwater Sculpture Park initially opened in 2006 and is part of the protected Grenada Marine Park. There are now over sixty-five concrete individual sculptures covering an area of over 800 square meters. For experienced divers, I’d recommend exploring the Grenada Underwater Sculpture Park with ScubaTech Grenada. If you are not a diver or strong swimmer, I would recommend Grenada Seafaris Powerboat Adventure as they focus on snorkellers and have all the related snorkel and flotation equipment. 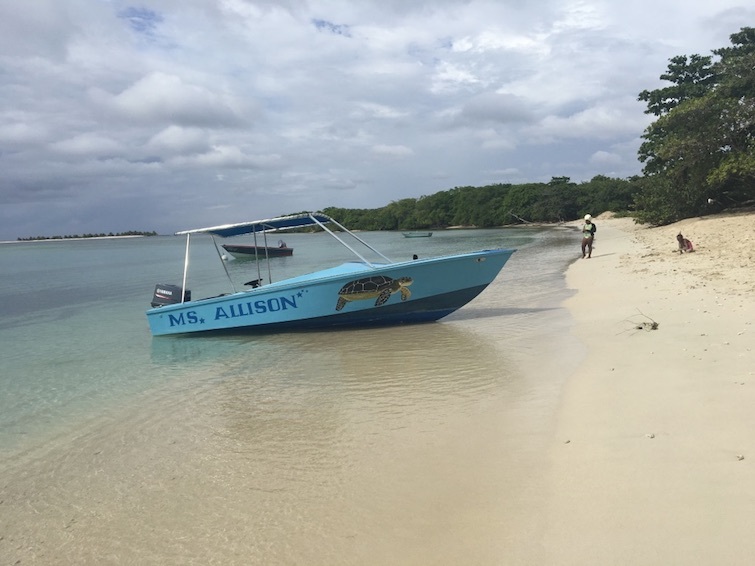 Another option is a snorkel cruise via Savy Sailing who take you out on a traditional sloop boat built in Carriacou, Grenada’s sister island. Notable sculptures from Jason deCaires Taylor to check for when diving or snorkeling around Grenada Underwater Sculpture Park include Grace Reef, The Lost Correspondent, The Unstill Life, The Fall From Grace, and Vicissitudes a ring of 26 standing children, holding hands and facing outwards into the current. Belmont Estate with 400 acres of lush land in the St Patrick area of Grenada is a working plantation with 300 years of history. 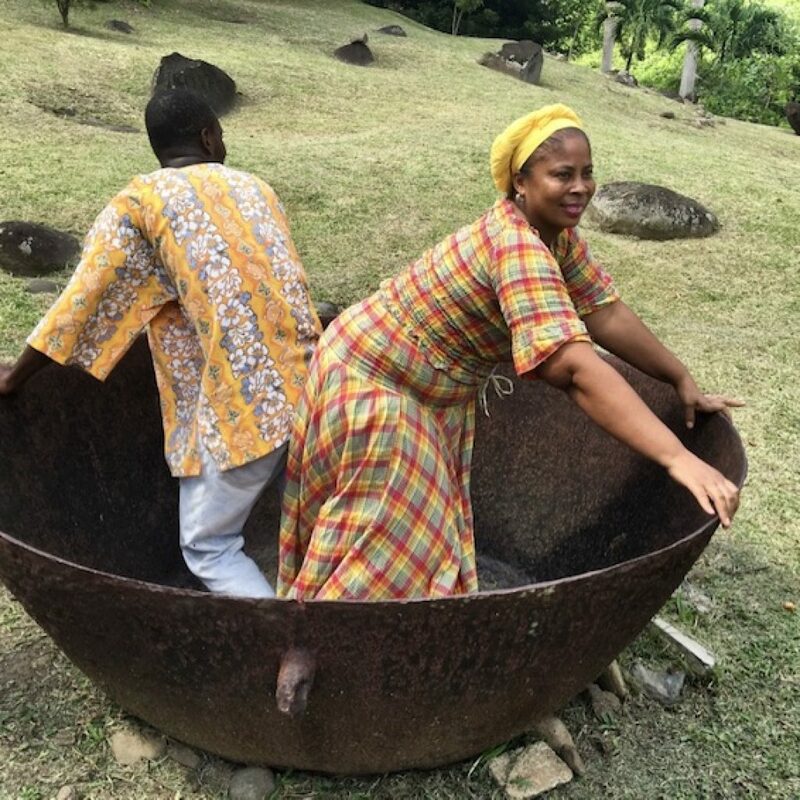 Purchased in 1944 by Norbert & Lyris Nyack, they were the first Grenadians of East Indian descent to own an estate in Grenada, Now, Belmont Estate is run by their granddaughter Shadel Nyack Compton who is focusing on turning the 17th-century plantation into the Caribbean’s finest agri-tourism experience. And while at Belmont Estate, you can have a delicious lunch at their 250 open- style seat restaurant and then take a variety of farm tours to learn more about the local culture, history, traditions, and cuisine of Grenada. 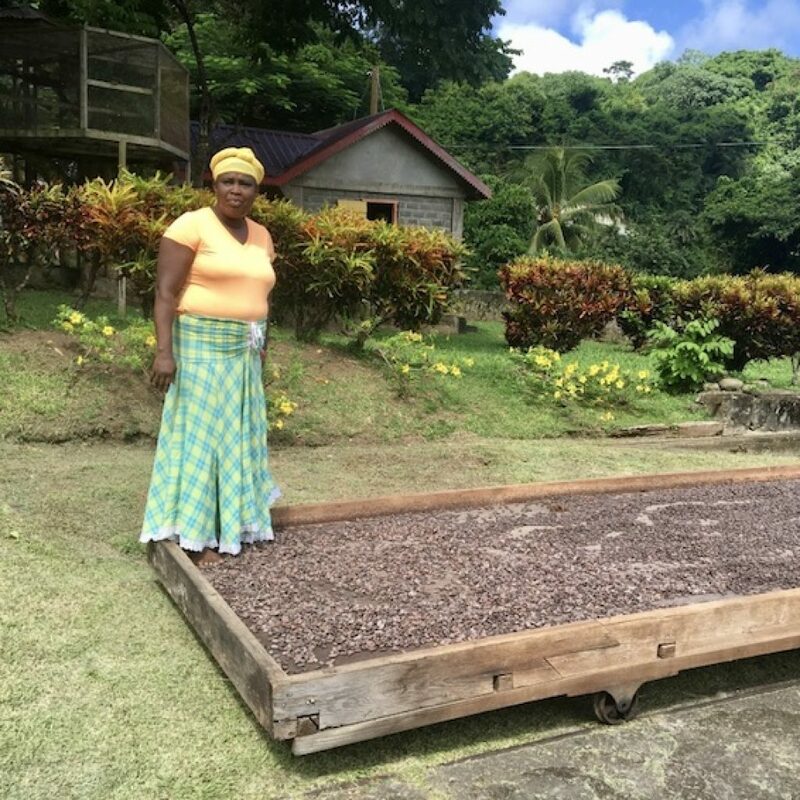 I particularly enjoyed learning more about cocoa production in Grenada and seeing a demonstration of traditional methods like “walking the cocoa” and “dancing the cocoa” which was part of the process to clean and dry the cocoa beans. Also getting a behind the scene tour of their chocolate production which is a relatively new venture for Belmont Estate. 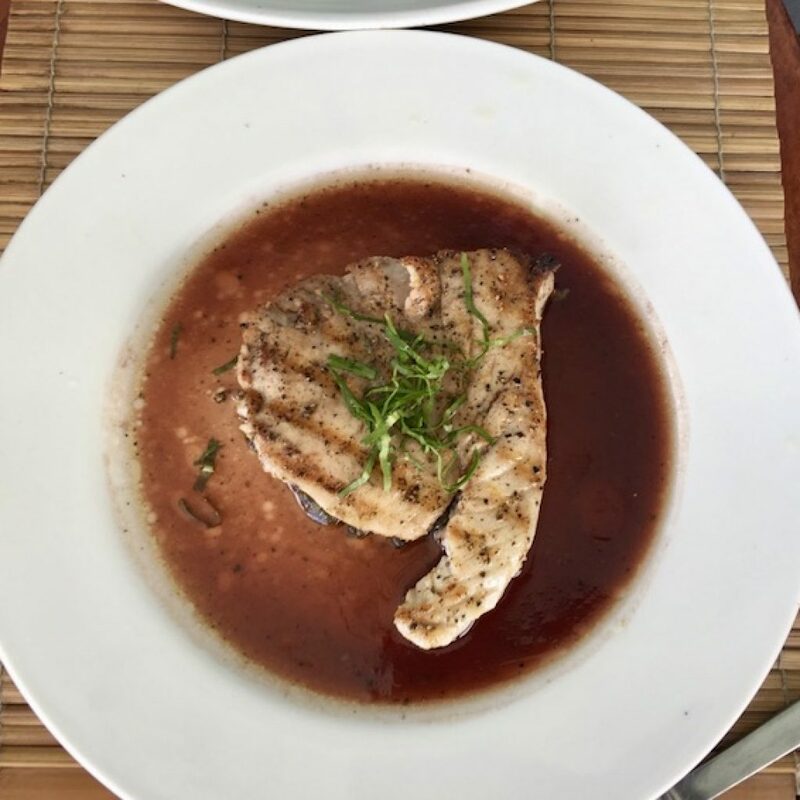 All throughout my three-week stay in Grenada, I did not have one mediocre meal whether it was street, casual or fine dining. The food in Grenada was all so delicious including the first meal I had on the island, Grenada’s national dish oil down. I sampled oil down while attending the Wednesday Street Food Experience at Doddy Dock, True Blue Bay Boutique Resort. 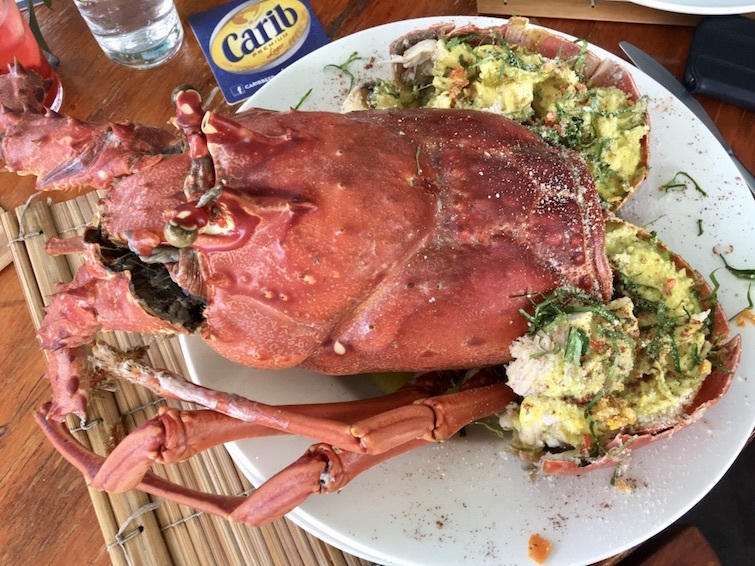 But perhaps my favorite meal was lunch at BB’s Crabback Caribbean Restaurant. Located in the heart of St George’s, BB’s Crabback Caribbean Restaurant with larger than life owner and celebrity chef Brian Benjamin has been serving and wowing customers since the early 1990s. And for my lunch meal, I had the lobster calypso dish seasoned with red, green and yellow peppers in a saffron and citrus sauce. Now I thought I would just be getting the lobster tail, but it was the whole lobster which made for quite a presentation. Once I dug in, the lobster was so succulent and fulfilling that I didn’t even bother with the side dishes ordered for the table. So definitely a place I would go back to sample other fish and meat dishes as well as take in the picturesque views along the water. River Antoine Rum Distillery is a must visit for any rum aficionado while in Grenada. 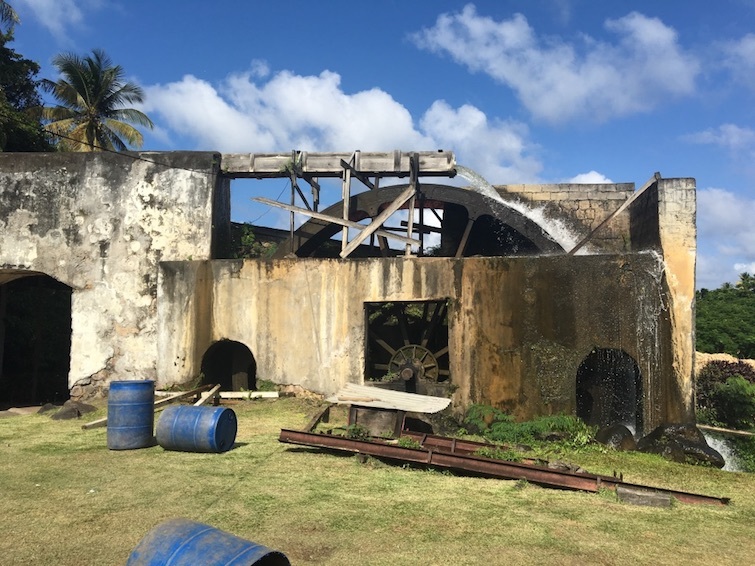 Located along the River Antoine in St. Patrick area, the River Antoine Rum Distillery has the oldest functioning water-propelled distillery not just in Grenada but throughout the Caribbean. Operating and making their legendary high proof rums since 1785 using traditional methods and now antiquated but functional equipment, the River Antoine Rum Distillery is a working rum museum. As you tour the facilities, you’ll see workers feeding the water-propelled cane crusher to extract the sugar cane juice that is then filtered and placed in a series of boiling caldrons. While in the containers, the sugar cane juice is hand-ladled from the coolest caldron to the hottest and becomes a thicker syrup in the process. From there it goes the fermentation room for about ten days before distilling and eventually packaging for consumption. I should note that much of the rum that is made by River Antoine Rum Distillery is consumed on the island. 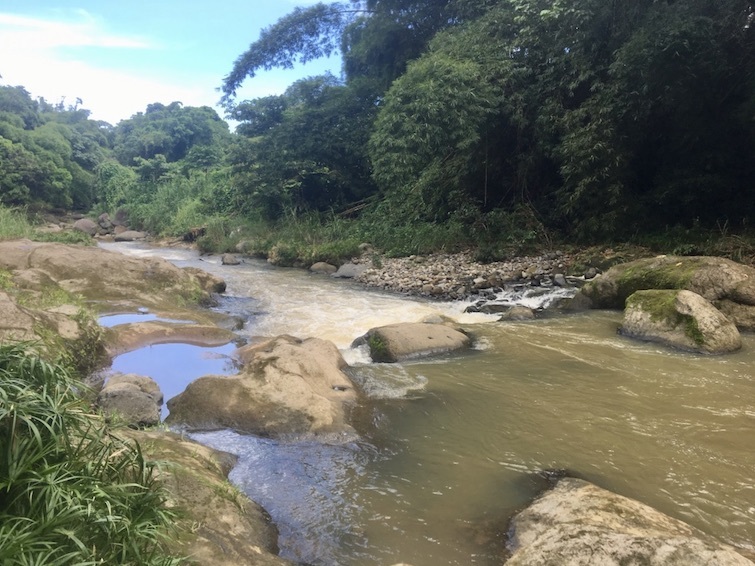 One reason is that they can’t make it fast enough and also their most popular rum – the 150 over-proof River Antoine Royal Grenadian Rum is so potent it’s considered combustible liquid and so therefore not allowed on airplanes. 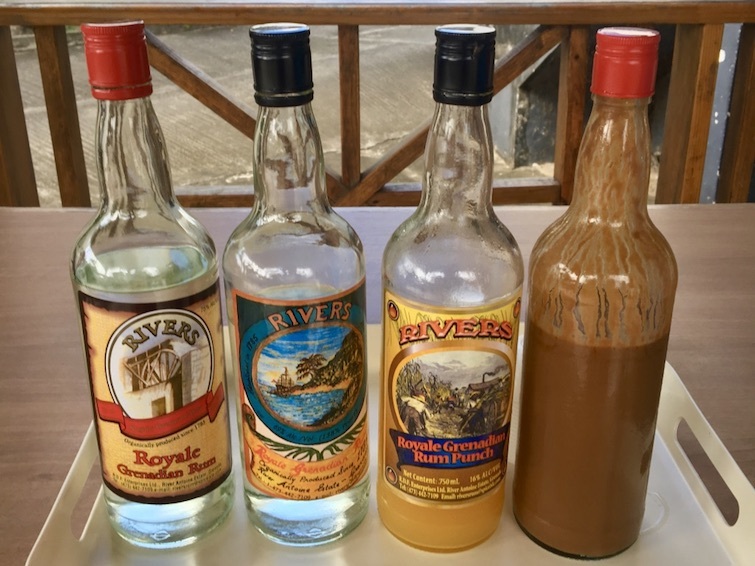 You can sample and purchase this rum and others on offer from River Antoine Royal Grenadian Rum at the end of the tour. Balthazar River known as the Great River in Grenada is located in the middle of the island’s tropical rainforest. A river tube ride down the Balthazar River is not for the faint of heart, but extremely safe as you are accompanied down by some strapping young men (trained guides!) 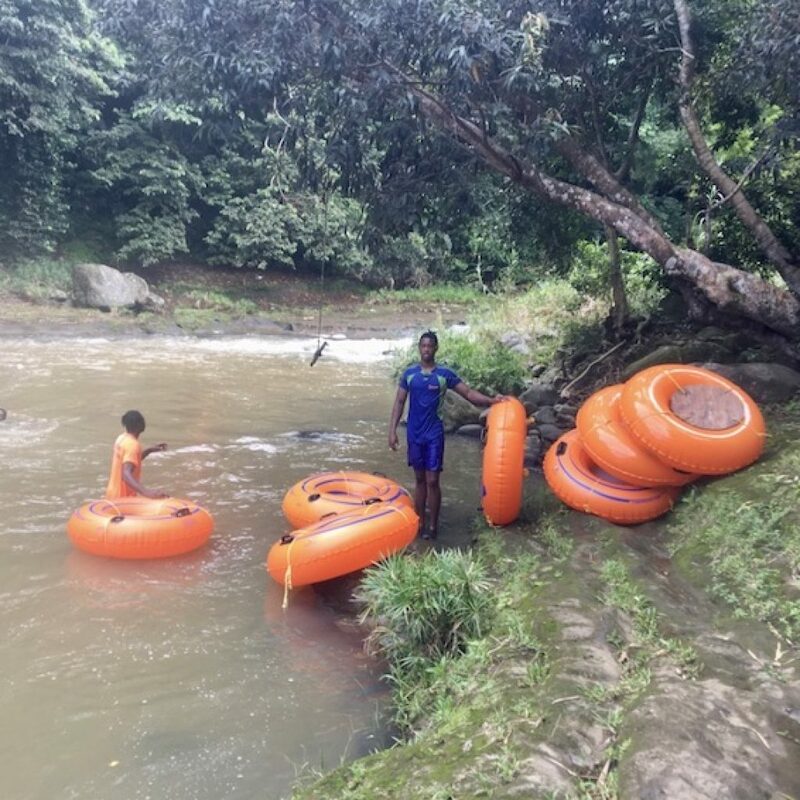 from a company like Adventure River Tubing. 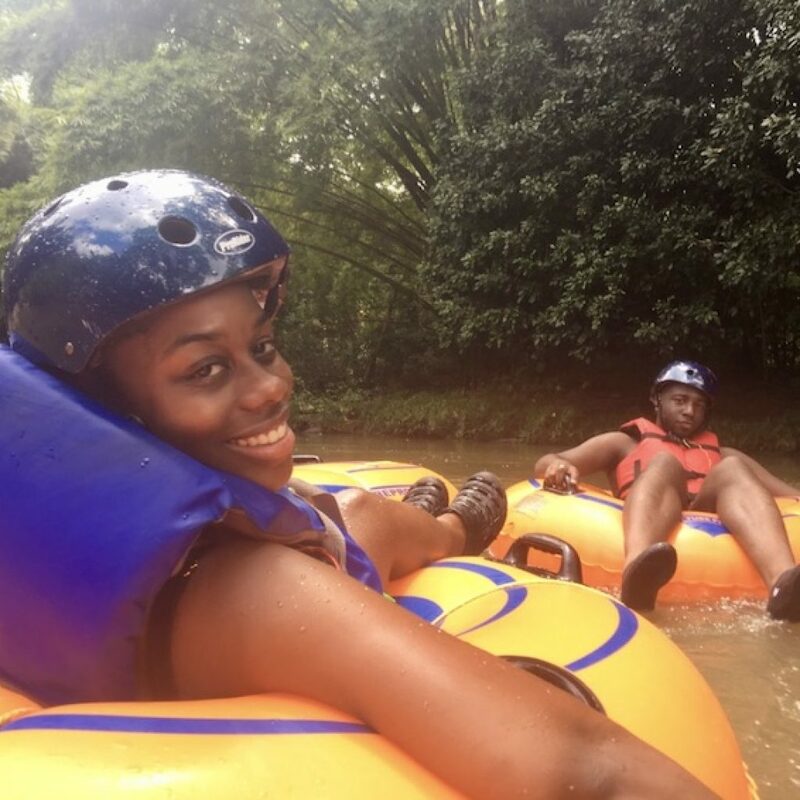 And while buckled up in a helmet, lifejacket and sitting in the tube, they help you when you get stuck amongst the rocks as you meander, spin and navigate through a series of rapids taking time to marvel at the exotic scenery of tropical vegetation and wildlife. There are also a couple of ropes at certain spots along the river that you can grab on to slow down the tube. The ride which lasts about 45minutes is both thrilling and relaxing. 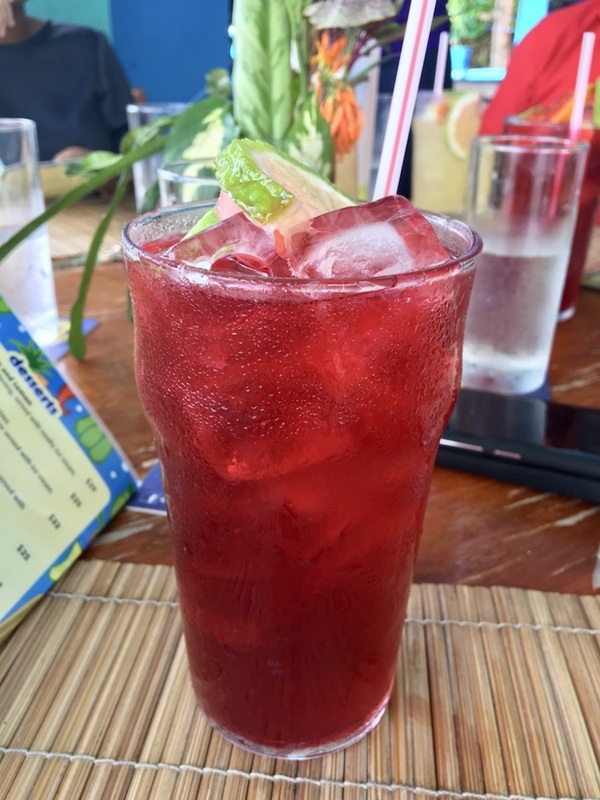 Afterward, you can partake in a glass or two of the local fruit juice or rum punch that calms your nerves after the adrenalin ride full of twists and turns. Welcome Stone overlooks the Levera National Park and is one of the best places to see Grenada’s scenic and spectacular coastal area. Located in Rose Hill, St. Patrick area of Grenada, Welcome Stone is about an hour’s drive north from St. George’s. Upon arriving at Rose Hill, you walk up a very steep nearly vertical concrete road for about 10minutes and then wander down through some bushes on the left past a mini construction site for another 10minutes where you are then rewarded with breathtaking views of Levera National Park. With a large lagoon consisting of extensive mangrove swamp, the 450-acre Levera National Park is home to a range of exotic bird spices including herons and black-necked stilts. 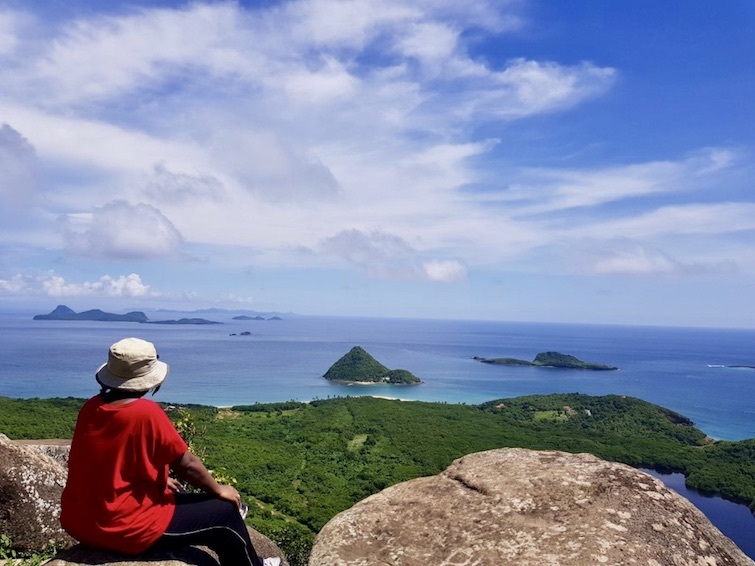 And on a sunny day from Welcome Stone, you can see about nine different isles including Sugar Loaf Island, Green Island, Sandy Island, London Bridge, Ronde Island, Caille Island, Diamond Island, Les Tantes Island and Carriacou. So well worth the trek from the city! Note: If you love the outdoors would also recommend visiting Grand Etang National Park & Forest Reserve, a natural wonderland centered around a lovely lake. Hiking and trekking trails are numerous and with the flora, birds and spectacular views, you won’t be disappointed. Known as the Isle of Reefs for its shallow clear waters ideal for swimming and snorkeling, Carriacou is the largest of Grenada’s sister islands. 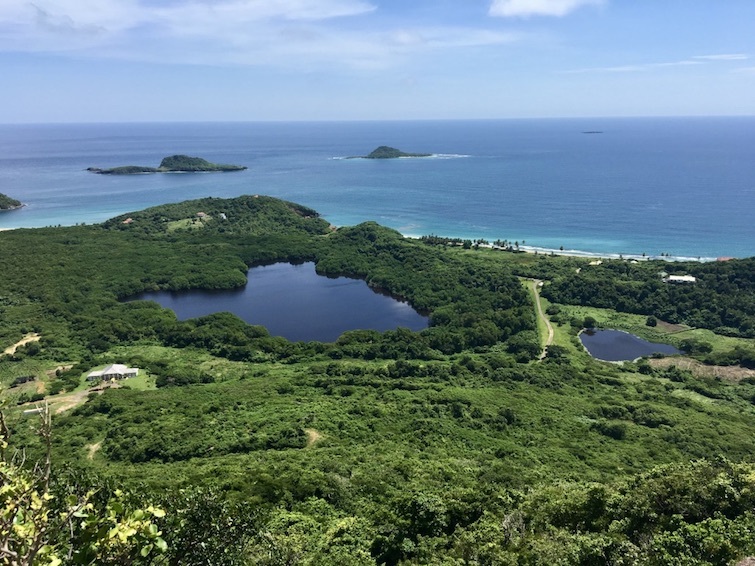 Carriacou is located north-east of Grenada and is 20 minutes away by plane or 90 minutes by Osprey Lines ferry from Carenage Jetty in Grenada. 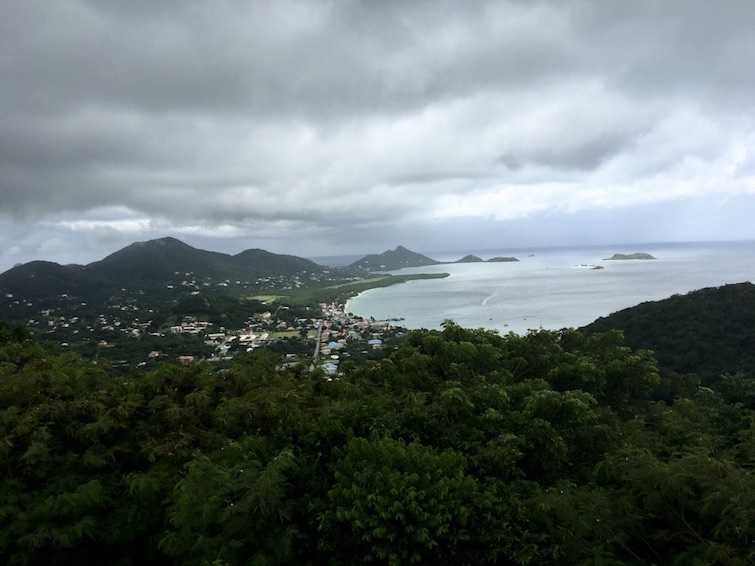 Once on Carriacou, take a taxi driving tour up to the hospital to get a stunning panoramic view of Hillsborough (even on a rainy morning! ), the largest town on the island. 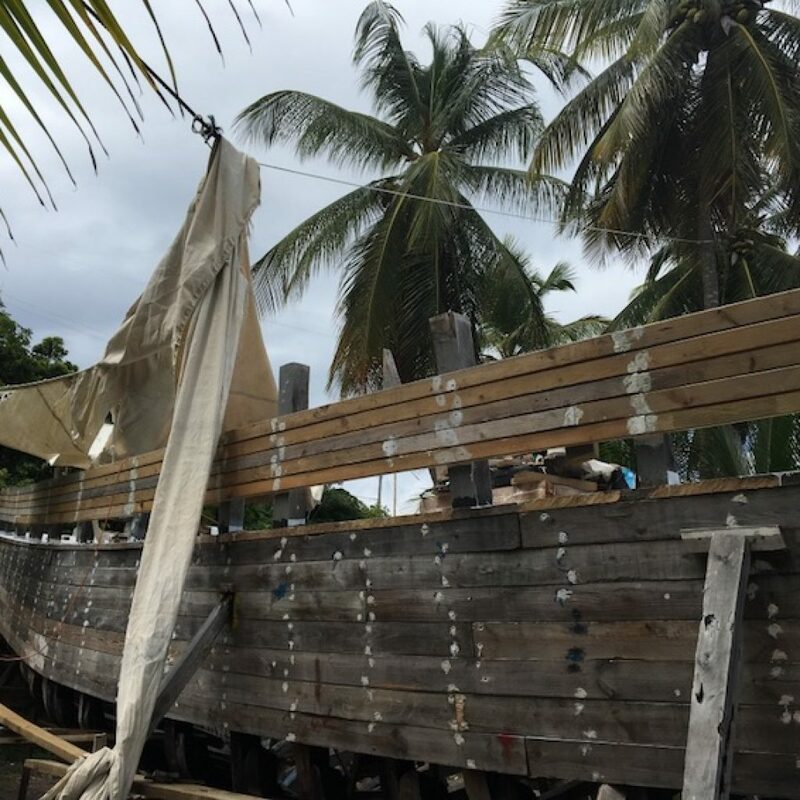 From there, take a drive back down to the village of Windward where traditional and often colorful small fishing sloops to large trading schooners have been built since the early 18th-century. Finally, head to Paradise Beach for a traditional lunch at Joan’s Beach Bar and a leisurely swim. 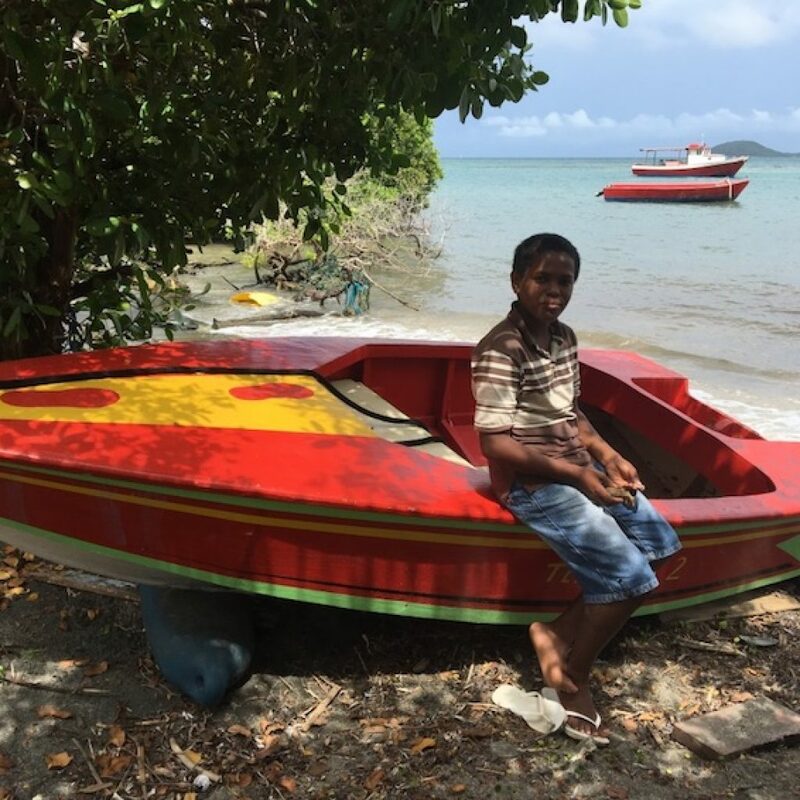 While there, take the 10minute boat ride via Isle of Reef Tours across to Sandy Island a tiny island off the coast of Carriacou. There are no man-made structures on Sandy Island except for a few hidden benches, and it’s beyond picturesque and pristine for swimming and snorkeling. So all around, a great day-outing from Grenada. Beautiful beaches are a given on most Caribbean islands, but Grand Anse Beach in Grenada is one of the best. 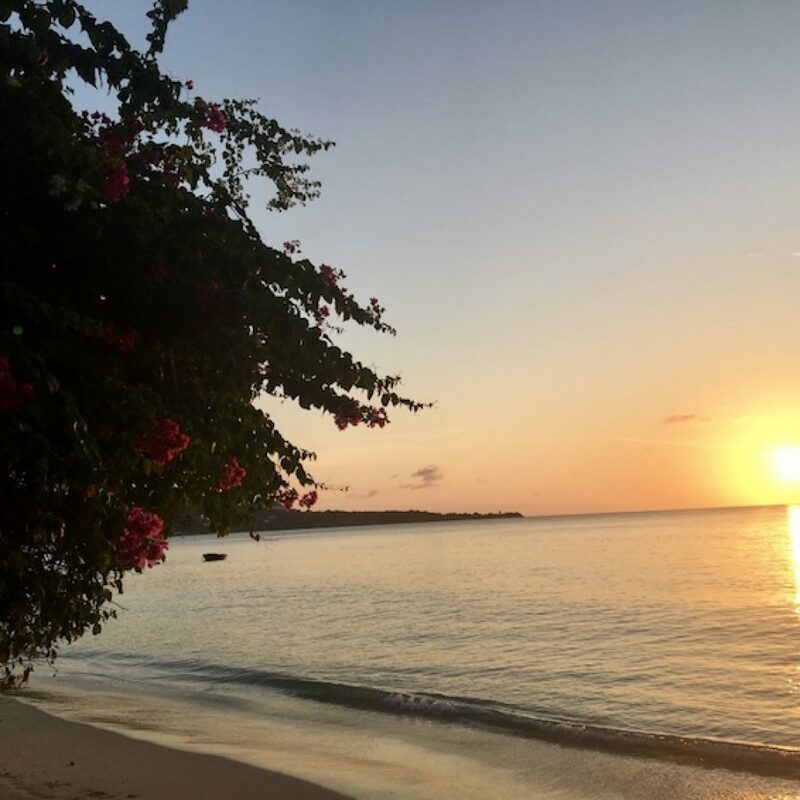 The two-mile stretch of white sand beach is home to some of the best hotels on the island including the Spice Island Beach Resort which is Grenada’s only recipient of the coveted AAA Five Diamond Award and a great place to stay or have dinner. Other hotels on Grande Anse Beach include the Coyaba Beach Resort and the Radisson Grenada Beach Resort both of which I stayed at and would recommend. 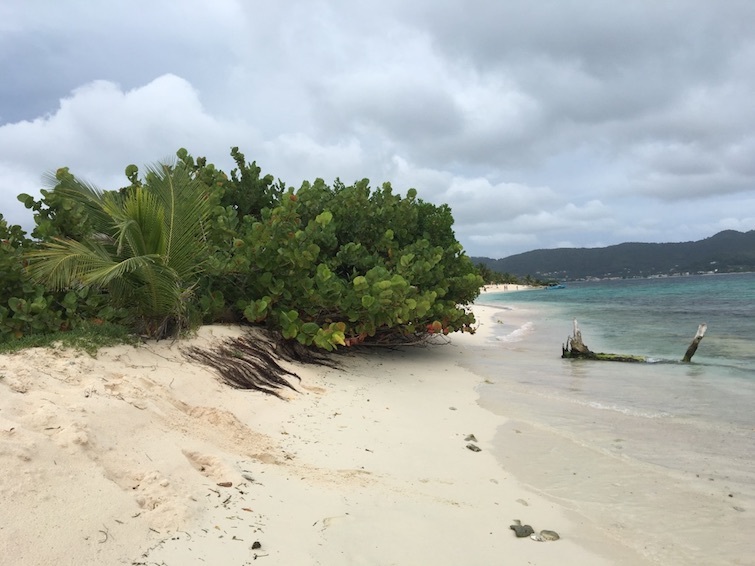 Overall, Grande Anse Beach is a great place to go for a morning or evening walk, run or swim. 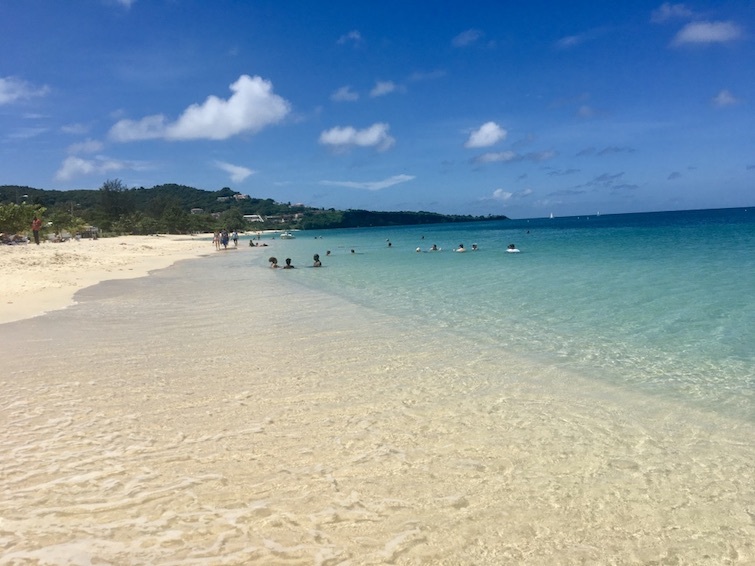 Heck, during your vacation, I’d recommend spending at least one full day on Grand Anse Beach swimming, people watching and taking in the picturesque views. 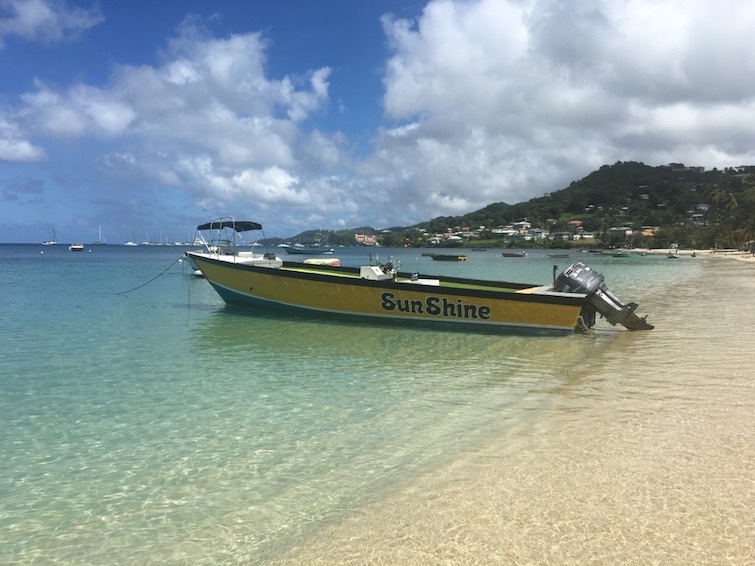 While on your walk along Grand Anse Beach, stop in at the Vendor’s Craft & Spice Market for an ice cream and souvenirs at one of the eighty-two booths selling a variety of art, crafts, spices, music tapes, clothing and produce. Finally, be sure to have a delicious mojito from Esther’s Bar located in the Vendor’s Craft & Spice Market. From this list of top things to do in Grenada are you enticed enough to visit on your next vacation? Hopefully, YES! 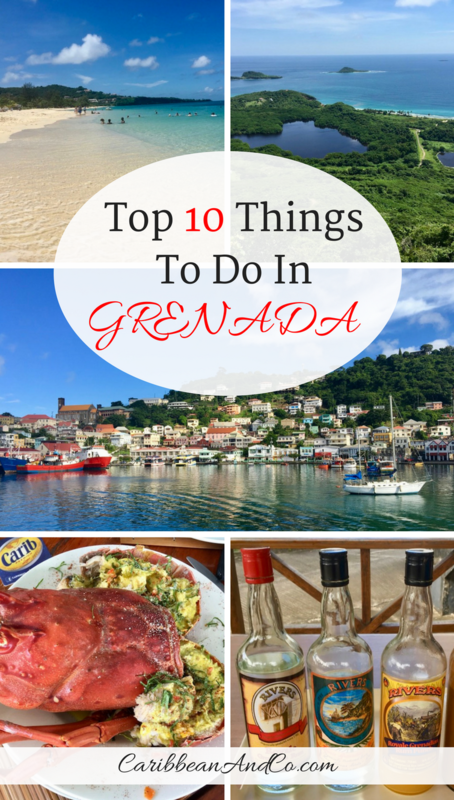 As such, below are all the details you need on where to stay in Grenada and how to get there. 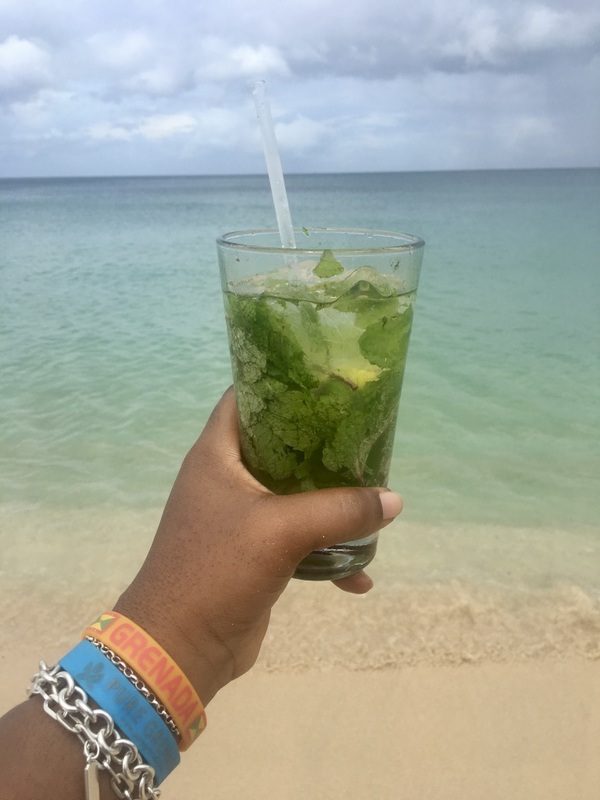 During my extended visit to Grenada, I stayed at four different hotels including Coyaba Beach Resort, Laluna Resort, True Blue Bay Boutique Resort, and Radisson Grenada Beach Resort. I’d recommend each Grenadian hotel, but perhaps to a slightly different audience. Coyaba Beach Resort owned by a Grenadian family has about 80 rooms on 5-acres of tropical gardens and is perfect for a small group of friends or families who want an all-inclusive option staying directly on 3-mile long Grande Anse Beach. Secluded beachfront LaLuna Resort with just 16 romantic cottages and luxury villas is for couples on their honeymoon or a romantic getaway. 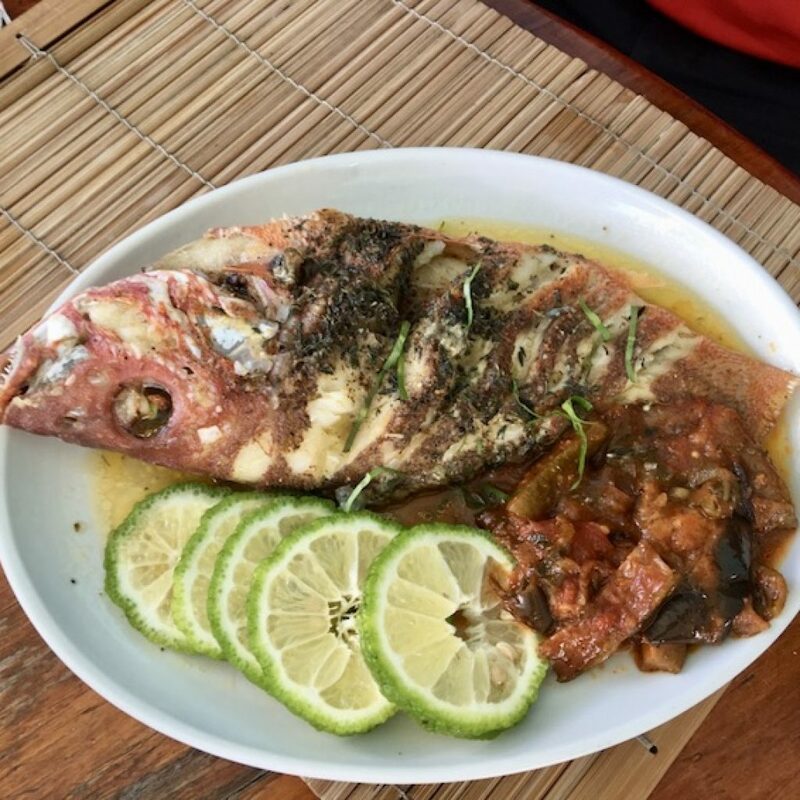 True Blue Bay Boutique Resort is perfect for families who want lots of outdoor and water activities and also want the option to cook some or all of their own meals. Finally, Radisson Grenada Beach Resort is another excellent hotel directly on Grande Anse Beach that is perfect for the business traveler as it has a conference center along with computer room which I used while there to prints some contracts. With 229 rooms and suites, would also say that the Radisson Grenada Beach Resort is great for a large group of friends, family reunions and wedding party. Another hotel to consider is Sandals Grenada, a relatively new all-inclusive resort in Grenada. While I did not stay there during this visit, I had the opportunity to check out the beautiful grounds and have dinner there one evening. So another Grenada hotel for couples to check out if they want a romantic all-inclusive resort option. For other places to stay in Grenada, check out hotels.caribbeanandco.com powered by HotelsCombined which compares rates from all the top travel websites. The beautiful island of Grenada is the most southern of the Windward Island chain in the Caribbean and is located directly north of Trinidad. Visitors arrive in Grenada via cruise port or via Maurice Bishop International Airport located seven miles from the capital St. George’s. To get to Grenada from the United States, consider American Airlines out of Miami, Delta Airlines out of Atlanta or New York, Jet Blue Airways out of New York or Caribbean Airlines out of New York or Miami connecting through Trinidad. From Canada to Grenada, consider flying via Air Canada from Toronto or Caribbean Airlines connecting through Trinidad. Within the Caribbean, you can take LIAT to Grenada from Antigua, Barbados, St Lucia, St Vincent, and other islands. You can also fly to Grenada from Trinidad via Caribbean Airlines. From Europe to Grenada, you can take British Airways or Virgin Atlantic from London. Also, you can fly to Grenada via Condor Airlines in Frankfurt.